The finest Uzbekistan Pools are located primarily in large cities, but it is also painless to find public pools in rural areas. Swimia.com demands your feedback on Aquagym in Uzbekistan to ensure all the information about swimming in Uzbekistan is valid. We probably do not know all the Pools in Uzbekistan. Are you missing any? Contact us!. Please have a look at the pools swimmers like you may have reported near Uzbekistan. Please, report any Uzbekistan Swimming Pool not listed here. Traveling to Uzbekistan? This is the right spot on the internet to find locations to swim in Uzbekistan. Every day you are not swimming you happen to be losing precious time in improving your expertise to be a better swimmer! No more excuses! Acquire your nearest Uzbekistan Swimming Pool and tell us how it went. 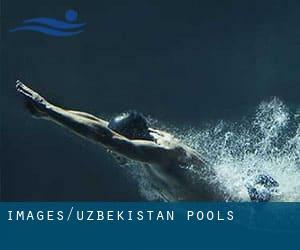 Please make contact with the sports center in Uzbekistan to check which activities are being supplied and their timetables, since Uzbekistan Pools might possibly have numerous rules and fares than other places. 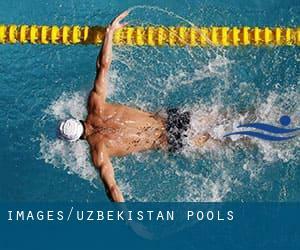 There are a few reasons why it's best to choose a heated swimming pool in Uzbekistan. Essentially the most necessary one relies on the importance of keeping the body temperature stable. When the water is as well cold, your body will try to warm it up and you will lose strength to swim correctly. Enjoy the best indoor pools in Uzbekistan and don't worry about the weather. These facilities are open all seasons and you can enjoy a swim at the same temperature every day of the year. Holding an estimated population of 1.978.028, Tashkent is one of the most important cities in Uzbekistan. Check all the Swimming Pool in Tashkent and its surrounding area. Let us tell you a secret to switch off while you are in Andijan: just choose a Swimming Pool in Andijan and plunge into the water! There's no additional effective system. Whereas Samarkand is one of the six most populous cities in Uzbekistan with nearly 319.366 residents, you shouldn't miss that one if you're going to Uzbekistan. Without a shadow of a doubt, swimming in Namangan could be the best technique to unwind following work. Take a couple of minutes to browse Swimia's catalog to find a Swimming Pool in Namangan. 107 A, Amir Temur Street , Tashkent (Postal Code: 700084). Among all the activities offered by the center, if you are keen on swimming you will delight in 15 meters, Indoors. If you need to contact this Swimming Pool, email address and phone number are both number. ul. Gvardii , Colonel Khodzhayeva 1 , Tashkent (Postal Code: Unknown). This sports center gives Olympic size, Indoors. For this Swimming Pool, only phone number is number here.